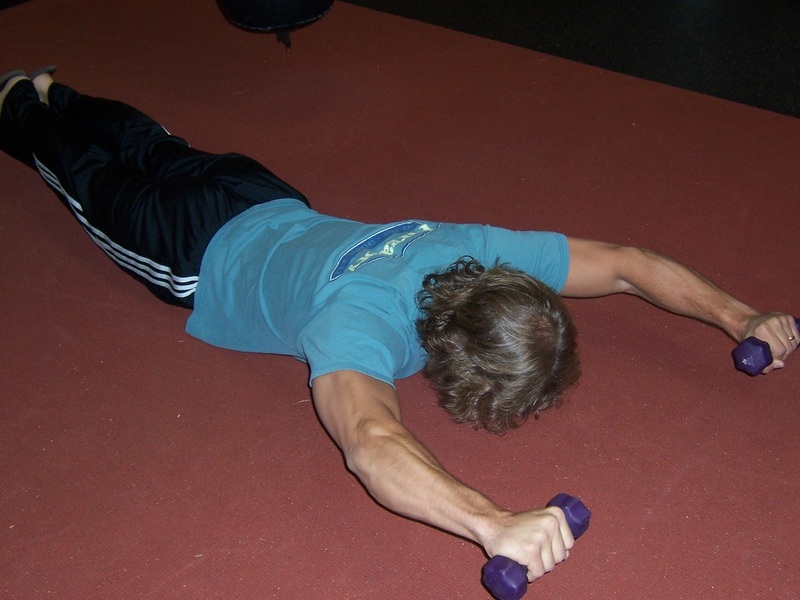 Dallas Personal Trainer - An uncommon exercise that nevertheless has incredible potential to improve posture. Personal trainers do not commonly have their clients do this one, primarily because the exercise is largely unknown but it is very in line with the current philosophy of functional exercise. 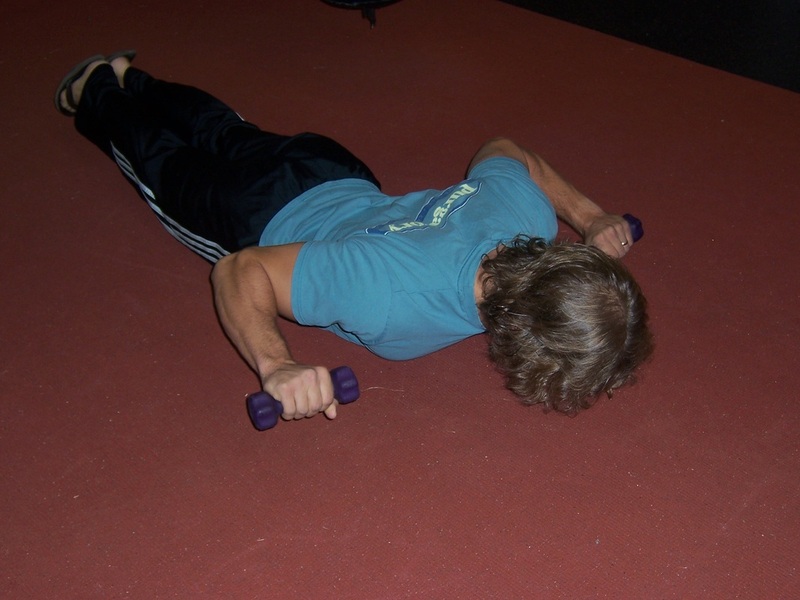 Lie face down on the ground with two small dumbbells in your hands (at first you will probably have to do them without any weight at all). Extend your arms out to the front and your legs to the back (like superman). Lift your legs without bending your knees, by contracting your glutes (rear end). If you cannot lift them, that’s fine, just contract your glutes and attempt to lift them. Over time the glute muscles will get stronger and you will able to lift the legs off of the ground. Once you are set in this position, begin to bring the dumbbells down to your shoulders (just like lowering them when performing a standing overhead press). Once you have brought them down to your shoulders, press them back until the arms are fully extended again. Throughout the entire movement, focus intensely on keeping your shoulders blades pulled back tightly and keeping the dumbbells from touching the ground.